Color is an essential factor to the world of graphic design and advertising. Not only that it brings in depth and emphasis to a design but it also gives the feel and the mood of a design. Graphic design is not just only about making beautiful layouts and fantastic designs but it is also about connecting to the people who we are targeting at. In fact, one can consider it as a part of psychology because designers are tasked to understand and connect with people through designs. 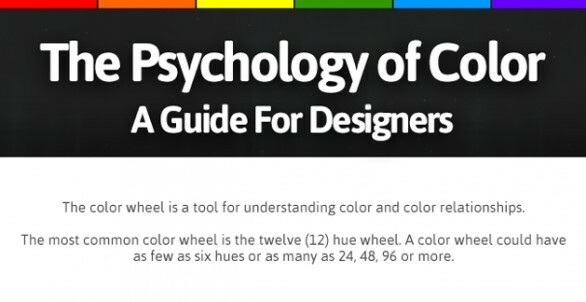 Today we are going to feature this awesome infographic about the Psychology of Color. A Color Guide For Designers infographic by linchpinseo. What do you guys think about the infographic? Share your thoughts below! Don’t forget to visit Visual.ly for more awesome infographics to add in your inspiration bank!Follow us out in Facebook,Twitter,Pinterest and Google+ also do subscribe to get your latest dose of design news, tutorials and creative advertising ideas for inspiration. Looking for a library of high-quality print templates? The search is over! Hit the link and get high-quality print templates here for free!